It's Las Vegas circa 1935, and Skinner Sweet and our gal Pearl are about to learn the hard way that the bloodsuckers in Hollywood were nothing compared to what awaits them in Sin City. In just a few short years, young police Chief Cash McCogan has watched his native city of Las Vegas go from cow-town to wild, glittering boom-town. And when the bodies of prominent businessmen start showing up drained of blood, Chief McCogan finds himself facing a threat much darker and deadlier than anything he could have imagined...and the only sure bet in town is that Skinner and Pearl are right in the thick of it! 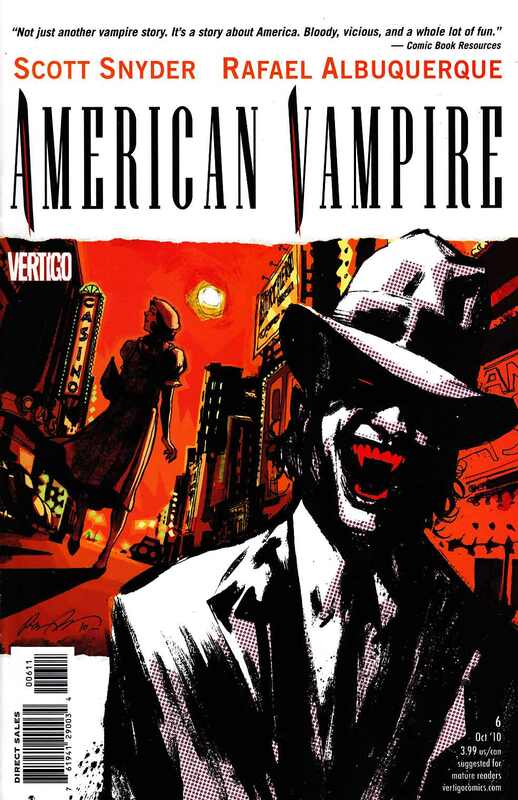 So belly up to the bar and lay your chips on the table, because "Devil in the Sand," the next cycle of AMERICAN VAMPIRE, begins now!